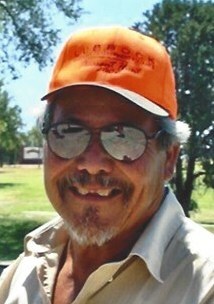 Domingo Z. Hernandez was born September 26, 1948 to the late Salome and Theodoro Hernandez. He sadly passed away March 24, 2019 after a long battle with cancer. Those left to cherish his loving memory are his wife of fifty one years Isabel Hernandez, children; Miguel Hernandez, Abel Hernandez, Estevan Hernandez, Sophia Hernandez, Nancy Hernandez and Rosalinda Hernandez, siblings; Victoria Hernandez, Aurelia Silva, Herlinda Lara, Maria Martinez, Aurora Martinez, Antonio Hernandez, Felipe Hernandez, Jose Hernandez, nineteen grandchildren, and four great grandchildren. Domingo passions include being an avid fisherman, singing, playing the accordion, traveling and exploring the outdoors. He loved sharing his stories with anyone he would come in contact with. Domingo was loved by many friends and family and will be greatly missed by all that knew him. Visitation will be Wednesday March 27, 2019 from 4pm – 8pm with a rosary service beginning at 6:30pm. Mass of Christian burial will be celebrated 10am Thursday March 28, 2019 at Our Lady of Grace Catholic Church with interment following at Peaceful Gardens Memorial Park.